The ATP kicked off its 2011 World Tour by creating a memorable PR event that will generate millions of impressions. 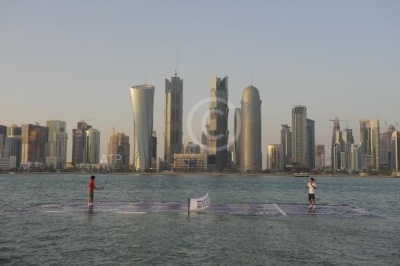 The ATP called on Roger Federer and Rafael Nadal to play a game of tennis on a water court in the Doha Bay (Doha is the capital city of Qatar). The PR event featured the world's two (2) highest ranked players playing a game of tennis while the sun set over the city of Doha. The event kicked off the 2011 ATP World Tour, which began this weekend with the Qatar ExxonMobil Open. The stunt showcases how sports properties can leverage out-of-the-box locales to drive a significant amount of media impressions around premier events, key athletes, and season/product launches.